Can't decided which is the Best Android Smartphone for you ? 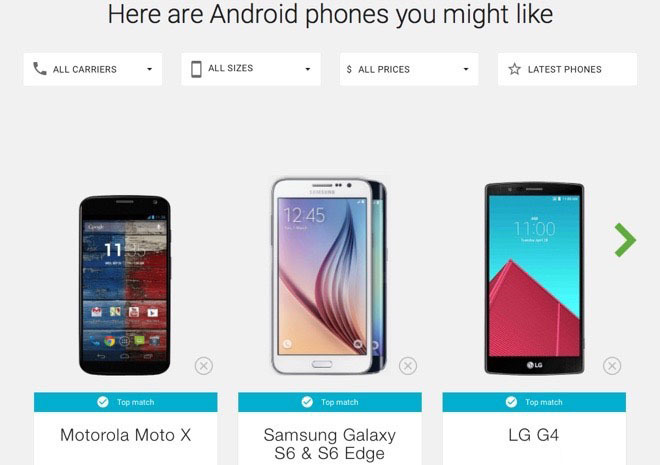 Google released an online tool to help you choose the right Android Smartphone for you. The solution is available via the search giant's Android homepage. The entire process features a nice graphical interface and is quite fun. You can select from twelve different criteria that you find important in a smartphone. They include photography, gaming, texting, and web browsing among others. An option to select a dedicated carrier in the United States is available, though not necessary. You can further refine your search results by price and size. You can try out the new Google tool by hitting the source link below.